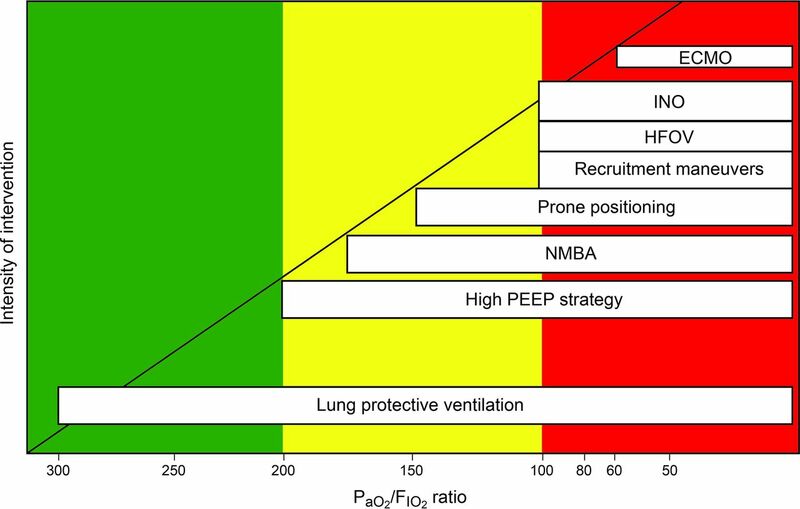 Rescue therapy in increasing hypoxemia severity. Green indicates mild severity, yellow moderate severity, and red severe. ECMO = extracorporeal membrane oxygenation, HFOV = high-frequency oscillatory ventilation, INO = inhaled nitric oxide, NMBA = neuromuscular blocking agent.